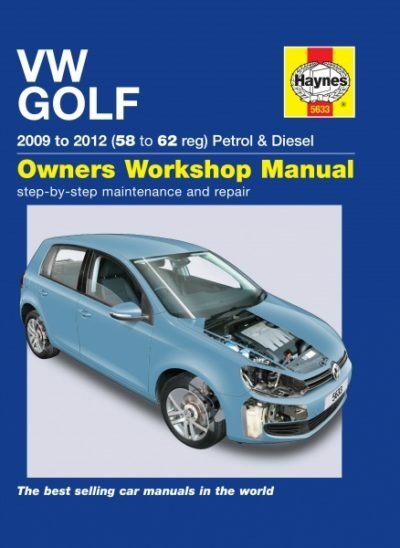 Product code: 5633 Kategorier: Engelsk verkstadshandbok, Volkswagen. VW Golf ‘Mk VI’ Hatchback and Estate. Petrol: 1.4 litre (1390cc), inc turbo Turbo-Diesel: 1.6 litre (1599cc) and 2.0 litre (1968cc). Does NOT cover GTI or R versions, or Golf Plus, Golf Cabriolet or Jetta. Does not cover 1.2, 1.6 or 2.0 litre petrol engines, or 1.4 litre TSi supercharged/turbo (‘Twincharger’) petrol engine.